We are loving all the interpretations our design team is coming up with, when using the Teresa Collins 'Stay Connected' social media die set! 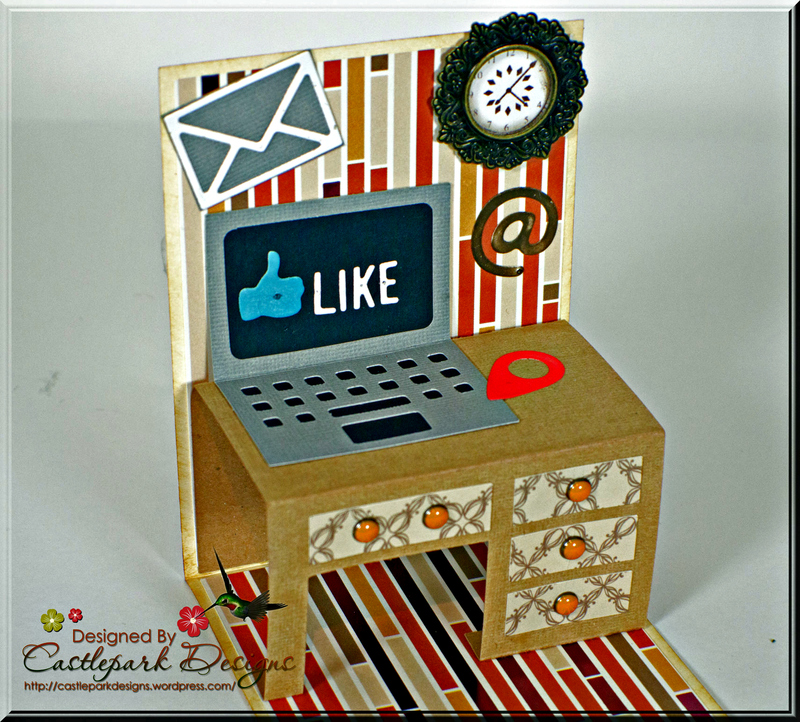 Today, Joann use them to create a gorgeous pop up card that looks so real, you can almost feel like it's going to pop open the interwebs! Hi there, and welcome to Friday! Thanks for popping in. I'm excited to be back to share another project for Craftwell with you. 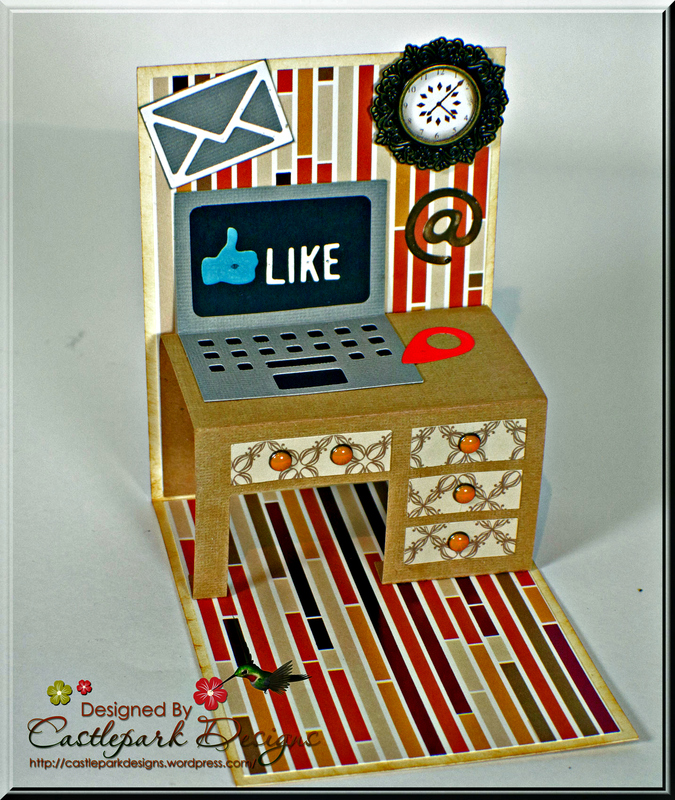 Here is a cute little pop-up card featuring a desk and a laptop computer! When I saw these dies I immediately thought of back to school and all those students in their rooms doing their homework when I would bet they would rather be surfing the internet lol. Thanks again for your visit today. I love to read your comments, thank you so much! What do you think of Joann's gorgeous card? Leave her a comment below!